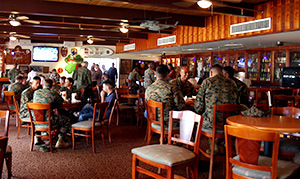 Reserved exclusively for Officers, the O’Lounge proudly continues the tradition of Marine Corps clubs at Kaneohe Bay. The O’Lounge provides an opportunity for camaraderie and promotes espirit de corps. Come join us the first Friday of the month. 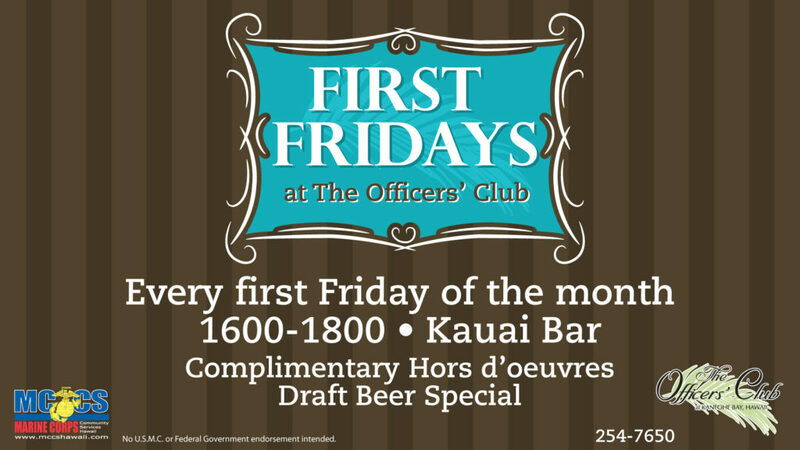 From 1600-1800 on the first Friday of every month the O’Lounge will serve complimentary Hors d’Oeuvres and have draft beer specials. 25% off all Food & Drinks at Kauai Bar! Officers’ Club Bar is available to Officers and equivalents. Please call 254-7650 for more information. No one under 18 years of age allowed in the O’Lounge and 18-20 must be escorted by someone 21 or older.